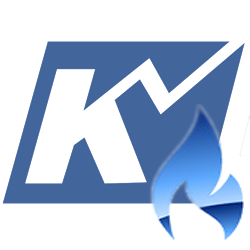 Natural Gas Short-Term Forecast – May 23, 2018 - Kase and Company, Inc. The near-term outlook for June natural gas has become much more positive. Odds favor a continued rise toward the next major objective of $2.98. However, today’s long upper shadow indicates a test of support might take place first, though this should present a buying opportunity for bulls. Yesterday, prices finally overcame the $2.873 swing high and broke higher out of the trading range that has dominated the market since mid-February. In addition, the close above $2.90, a highly confluent and important projection for each of the major waves up from $2.55, $2.638, $2.66, and $2.695, increased odds that the move up will continue. As stated in our weekly analysis and yesterday’s daily update, the key now is to sustain a close above $2.90 and ideally hold support at $2.87 and no lower than $2.83. Relative odds (based on the number of times a target is found within our analysis) indicate the move up should extend to at least $2.95 and likely $2.98. The latter is the next major objective because it is in line with the $2.975 swing high and is the last target protecting the psychologically important $3.00 level. Even so, this afternoon’s pullback from $2.939 left a long upper shadow on the daily chart, warning that a test of support might take place before $2.95 is met and eventually overcome. Should prices fall below $2.90 early tomorrow, look for a test of Tuesday’s $2.87 midpoint. This level should hold. Key support for the near-term is $2.83, Tuesday’s open and the 200-day moving average. Settling below this would be a strong indication that the move up has failed and that prices will most likely settle back into a trading range with a slightly higher ceiling. This is a brief analysis for the next day or so. Our weekly Natural Gas Commentary and daily updates are much more detailed and thorough energy price forecasts that cover key natural gas futures contracts, calendar spreads, the UNG ETF, and several electricity contracts. If you are interested in learning more, please sign up for a complimentary four-week trial.